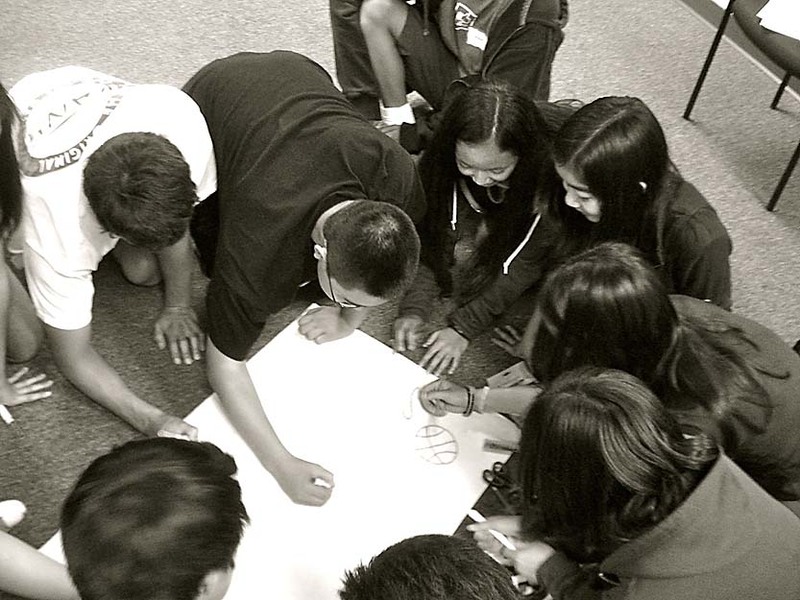 In this photo taken last summer, students engage in a leadership workshop during Kizuna’s Youth CAN program. Kizuna announces that registration for the 2012 Family Showdown event is now available at www.kizuna-la.org. The first annual Family Showdown will be held on Saturday, May 19, at Gardena Valley Baptist Church, 1630 W. 158th St., Gardena. This multi-generational fundraising event will bring together families, friends and community for a night of games, food and friendly competition. General registration is $40 for individual tickets, and community members are encouraged to put together teams of five or 10 members. Registration includes a light dinner, dessert and participation in all of the evening’s planned events. “This event is going to be a lot of fun and a great way to support youth involvement in the Japanese American community. From the positive feedback we’ve received, we encourage people to register sooner than later to guarantee they have a spot at our event,” said Mickie Okamoto, chair of Kizuna’s Family Showdown Committee. Family Showdown, one of Kizuna’s major fundraising initiatives in 2012, will focus on bringing the community together through team-based activity and multi-generational trivia. Community members will put together teams of family members and friends to compete in various challenges. Proceeds will support Kizuna’s leadership development programs for Japanese American youth. Kizuna implements a number of programs throughout the year to create a passion for community service, develop skills in leadership, and create a path for community involvement. Through these programs, Kizuna is building a future generation of leaders who will make an impact in the community.